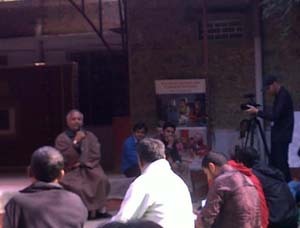 Here is the concluding part of the Jagriti Yatra 2011 series. Even as I write about the last few days of the Yatra, I am overwhelmed with emotions. It was such an enriching experience that I would say all of us should embark on this journey at least once in a lifetime. 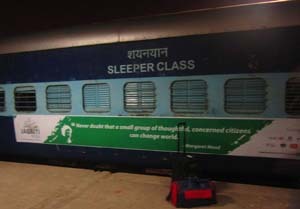 The train reaches Safdarjung station in Delhi at noon on 5th January. 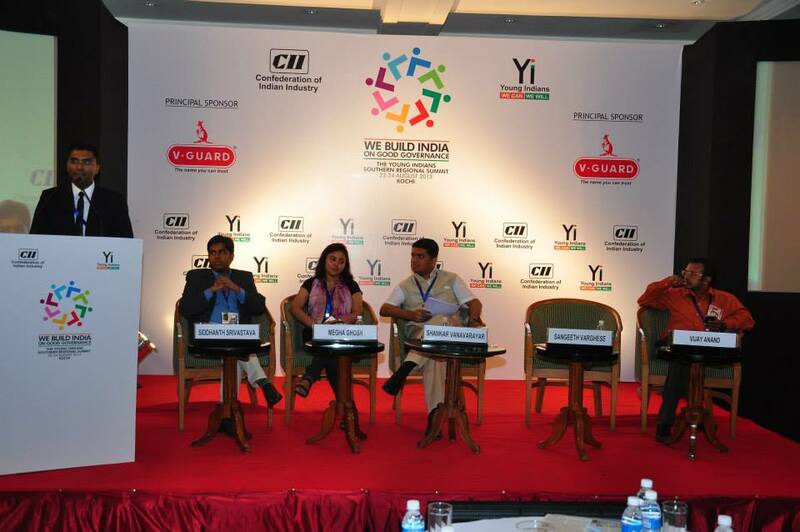 Here, the Yatris are to meet Anshu Gupta, a social entrepreneur and founder of Goonj. The issue of clothing is addressed nowhere. Keeping this in mind, he started Goonj in 1998 with a mission to re-emphasize clothing as a basic human necessity and provide clothes to the needy people while engaging them in local developmental issues. The idea is to make rural poor people „earn their clothes‟ so that their dignity is maintained. Goonj, now sends over 50 tons of clothes per month across the country through a network of 150 grassroot organizations spread across the length and breadth of country. For financial sustainability Goonj makes handicraft items from unusable clothes and sells it in the market. It also saves on the transportation costs by asking people for Rs. 1 for every item they donate. 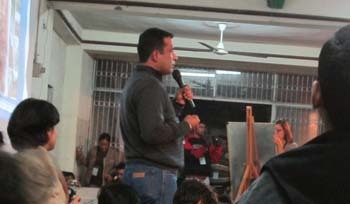 Anshu Gupta, as a role model demonstrates the traits like compassion, passion to leave a lucrative job and work for the people, effective system design and ultimately a thinker and doer. He is the role model who has inspired the most to the Yatris. On 6th January, Jagriti Express stops at a small railway halt Tilonia is Rajasthan. At Tilonia, is located the Bare Foot College, started by Sanjit “Bunker” Roy. Bunker Roy, after his education, decided to work in the villages much to the chagrin of his parents. His dream is of using traditional expertise rather than “bookish knowledge” for the uplift of neglected communities. He has worked all his life with the Barefoot College. One program of the Barefoot College brings women from villages in rural Africa that run without electricity to the Barefoot College. They are then trained by local Indian women at the Barefoot College. At the end of their training, they return to Africa with new skills that allow them to install solar electricity in their villages. Barefoot College is primarily a grant based organisation with around 90% of the annual expenditure of Rs.10 crore coming from grants and the rest 10% from the sale of handicrafts and other products. Tilonia is a solar-powered school that teaches illiterate women from impoverished villages to become doctors, solar engineers, architects, and other such professions. The village is involved in rain harvesting, it has its own community radio station and its own website www.tilonia.com. The groom the children as the future leaders of the country, the school at Tilonia village has its own student parliament. It has its own Prime Minster and cabinet of ministers that takes part in the decision making process of the school. The village is a role model for all the villages in the country. The last and the final leg of the journey is Ahmedabad. At the dawn of 7th January, Yatris reach Sabarmati Ashram at the banks of Sabarmati River. The ashram was the residence of Mahatma Gandhi and has huge significance for the independence movement of India. The day begins with prayer of all the major religions of the world, followed by introspection session with the mentors at the ashram. The mentors help the Yatris ask some questions to themselves like what really want to do, Is it the right career, What is the meaning of life to them. 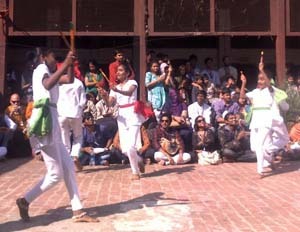 The ashram school kids present some beautiful dances to welcome the Yatris. The ashram visit gives the experience what one would get from a temple, mosque or church. The evening programme starts with the address by a group of Gujrati women who have been running the cooperative bank SEWA (Self Employed Women Association). 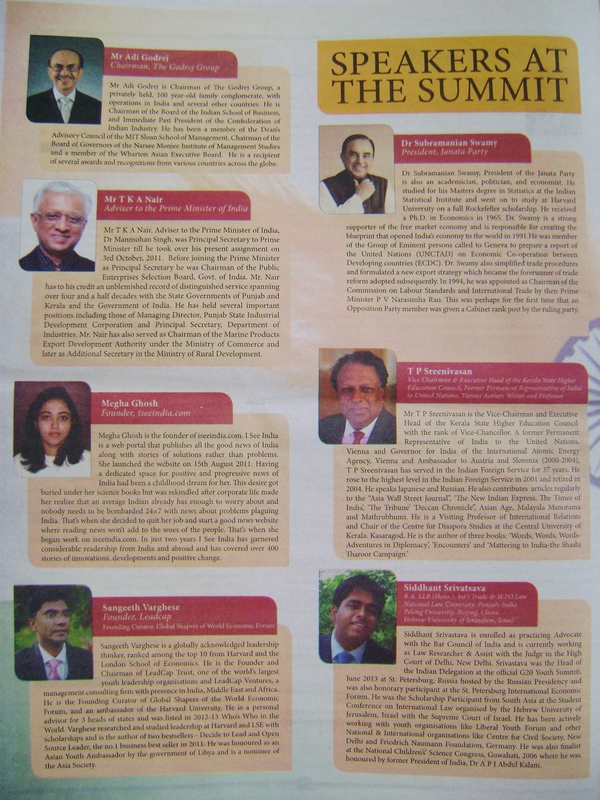 These leaders talk about the journey of the bank and the hurdles faced in the male dominated society. 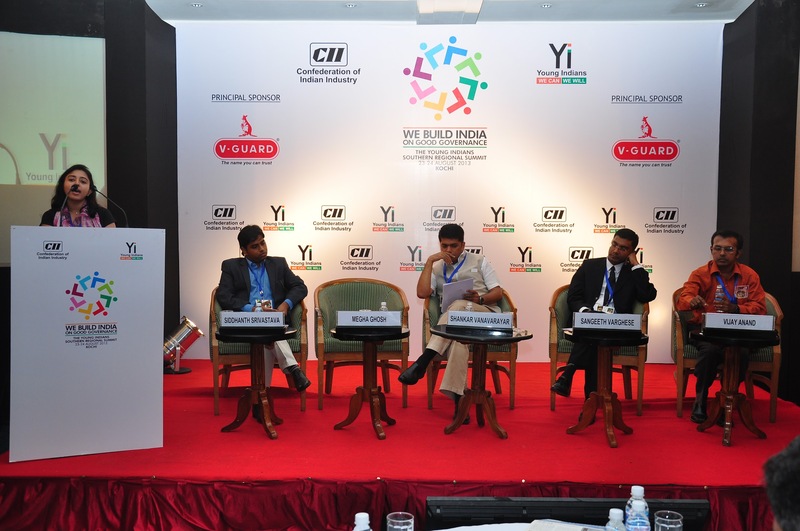 Follows it a panel discussion on “Power of One” by Dr. Harish Hande (SELCO), Amitabh Shah (Yuva Unstoppable) and Mansukhbhai Prajapati (Mitticool). The talk reminds the Yatris about the song by Gurudev Rabindra Nath Tagore “Ekla chalo re… “. Finally the Yatra concludes with the thanksgiving and felicitation ceremony where the contributions of different people, organizations, role models and also the organizing team are acknowledged. It is the time when, the eyes become moist but glow with a new light that has potential to change the world. Parting away feels like breaking of a branch of a tree that had grown so strong in the last two weeks. 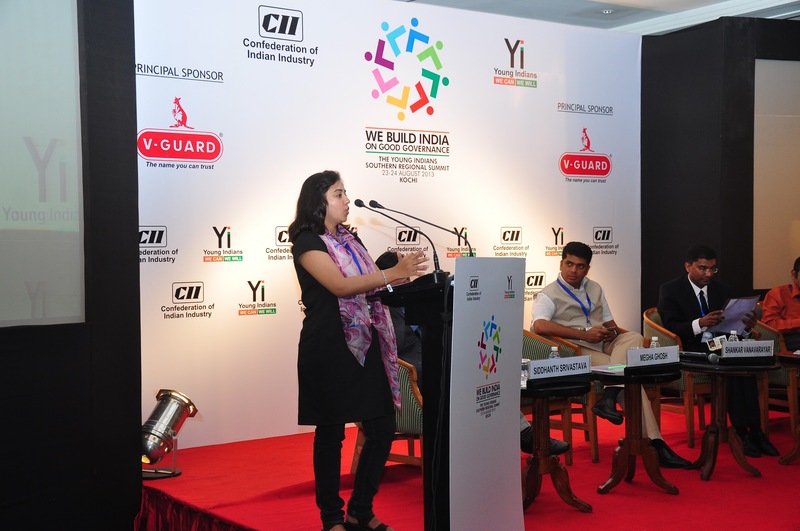 Now the Yatris are alumni of the Jagriti Yatra 2011. After the end of the Jagriti Yatra, the Yatris have began a new journey. A journey to make the world a better place to live.